This article, the second in the Flammia Myth-Information Series, addresses another common misconception about asset protection and estate planning that we often see among those who visit our office. This misconception involves the Durable Power of Attorney. When it comes to estate planning documents, the Durable Power of Attorney is seen as a basic tool; so basic, in fact, that just about any attorney would say that he or she could create one for you. Online companies have built fortunes convincing you that Durable Powers of Attorney are so simple to create that you can download one from the internet, fill it out, sign it, and you’ll be set. Striding out of that attorney’s office with your fresh new Durable Power of Attorney or taking your newly-minted downloadable Durable Power of Attorney off the printer can make you feel so virtuous. You’re taking care of yourself. You’re planning ahead. You’ve put your affairs in order. Cue the heavy sigh. If I had a nickel for every person who came to my office with these Durable Powers of Attorney in hand, needing help because the documents they got from the attorney down the street or the internet didn’t give them the powers they thought they would, I would be a very wealthy woman. Here’s the deal. You won’t find out that your Durable Power of Attorney doesn’t work until you try to use it, and you discover that it doesn’t. And you’ll find out at the worst possible time—in the middle of a crisis. 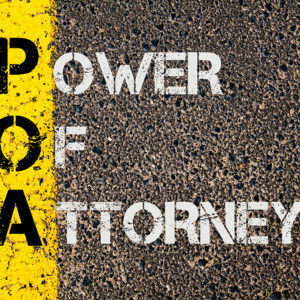 It’s true that any attorney can draft a Durable Power of Attorney. But if you want that that Durable Power of Attorney to give you the powers you need to handle an elderly loved one’s affairs at the right time and in the right way, you need to see an elder law attorney. Why? Because the language in the Durable Power of Attorney matters, and not every attorney knows what the right language should be. For example, Durable Powers of Attorney drafted by estate planning attorneys typically don’t address the fact that the agent may need to help an elder quality for government benefits by establishing a Qualified Income Trust. If the Durable Power of Attorney doesn’t include the right language, it limits the agent’s ability to complete critical Medicaid planning tasks. That’s just one potential problem. There are many more. Is your Durable Power of Attorney the weak link in your—or your parents’—estate plan? Could it be the obstacle that makes it difficult for someone you love to qualify for Medicaid? Bring your Durable Power of Attorney to us at the Flammia Elder Law Firm. We’ll look it over. We’ll tell you the truth. And we’ll make sure that your Durable Power of Attorney does exactly when it needs to when the time comes.